19 cm tall (7.5 inches). 22 cm wide. 8 cm depth. 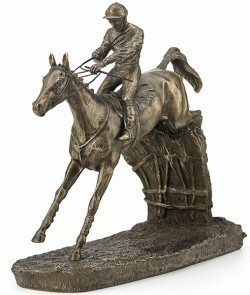 'Clearing The Last' is a cold cast bronze sculpture by artist, David Geenty which stands at 19 cm high. Solid and weighty figurine. Excellent detail.